Are you looking to make the most out of your truck this hunting season? 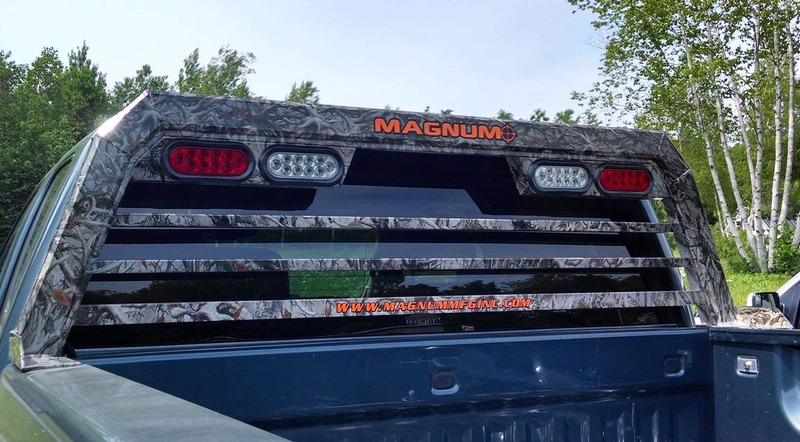 The answer may lie in installing the right hunting accessories for your truck. With the right truck accessories, your truck becomes more than just a vehicle – it becomes a tool for you to use as you head out in search of your quarry. Here are the top 5 accessories you need for your truck when you head out to hunt this year. Whether you hunt with a gun or a bow, you need a place to carry and transport them so they are not bouncing around your truck. Gun and bow holders are rubber coated to prevent scratches, yet grip the weapons firmly to keep your investment safe. These are fairly simple to install, simply clipping onto the rear seat so you can add them in a minute. They also ensure that potential thieves are not instantly alerted to what you are carrying, and make the weapons easily accessible when you reach your destination. No matter what type of game you are hunting, you need a way to transport your prize home. A truck rack gives you a convenient place to tie your game, keeping it secure in the bed of your truck. It also helps prevent damage to the cab from a wayward antler or hoof when hunting big game. You may also be able to strap your hunting gear to the truck rack when you head out for the day. A dead deer will weigh several hundred pounds. How are you going to get that into the bed of your truck on your own? A hitch mounted game hoist is the answer. A hitch mounted game hoist helps you lift your game up for cleaning, so you can do the dirty work without making the bed of your truck dirty. You can also use the hoist to lift the deer or other trophies onto your bed for processing elsewhere. Sturdy hoists can lift up to 500 pounds, big enough for a huge buck, giving you an easy way to care for and lift your deer easily. Cover your seats and your floors when you are going out hunting to ensure that you do not dirty or damage the interior of your truck. Seat covers are a necessity if you want to protect your upholstery from the grit and grime that you will encounter on the hunting trail. Choose something in a camo print to make your truck attractive while also protecting it. While you are at it, don’t forget the floors. Add floor mats you can take out and hose off all of the blood, guts, and dirt from your hunting trip so that it will not end up on the floor of your truck. When you are done with your hunting excursion, slip off the seat covers and remove the floor mats, and your truck will be ready for day-to-day driving again, with no signs of your weekend adventures. While you are protecting your truck’s interior, don’t forget about the bed. Dragging a heavy buck in and out can scratch the paint, not to mention the damage from all of the grime that happens when you hunt. Add a bed liner that you can easily clean to protect the paint and the integrity of your truck’s bed. A bed liner can be one of the most important hunting accessories for your truck as you try to protect the exterior. 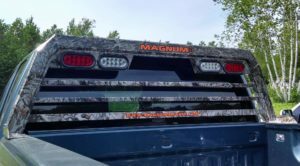 Other truck bed accessories can improve the function of the bed when you are hunting. Whether you are dressing up your truck’s exterior or looking to improve the function and protect the interior, you can turn your truck into a great asset to your hunting hobby with the help of these accessories for your truck. Hunting season is just getting started, so make sure your truck is ready!